The central character of each title in Mirambel’s children’s series is named after a real child who the author knows. 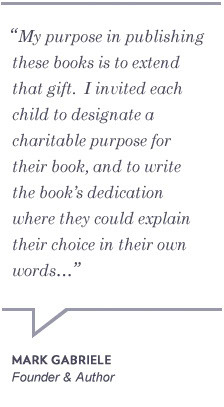 On the dedication page, each of these children explains in their own words who they want their book to help. To honor this intention, the author has made a donation on the child’s behalf to a fitting charity.